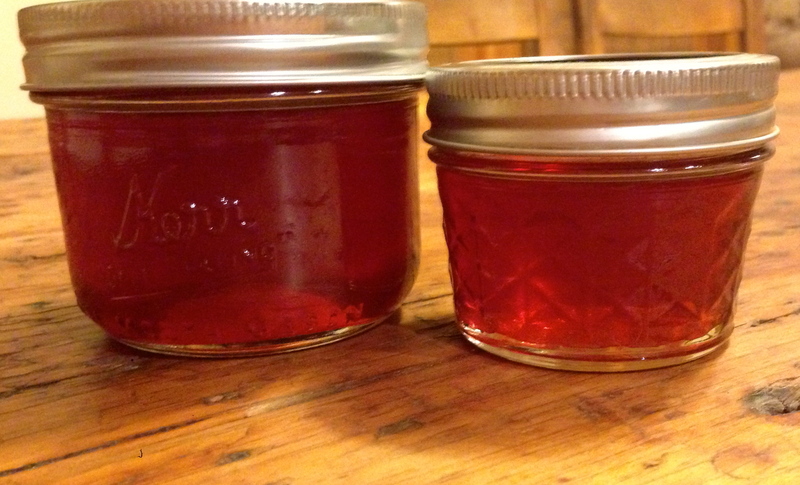 After all the photos of the process, here is the finished product, and it tastes like nothing else I’ve tasted before, so I just call it magical. The other somewhat magical part is that I never even knew what those berries were and that they were edible, and here they were red and beautiful while everything else was brown and dry. I often regret how much I haven’t known over the years about our farm, but I guess in part that is what fills my world now with sweetness and wonder as I learn every day what this farm can provide for us. Life is good, very good, and I am grateful every day. Really. Our little Highland Eloise looks like a lamb, but mostly she is on the lamb! 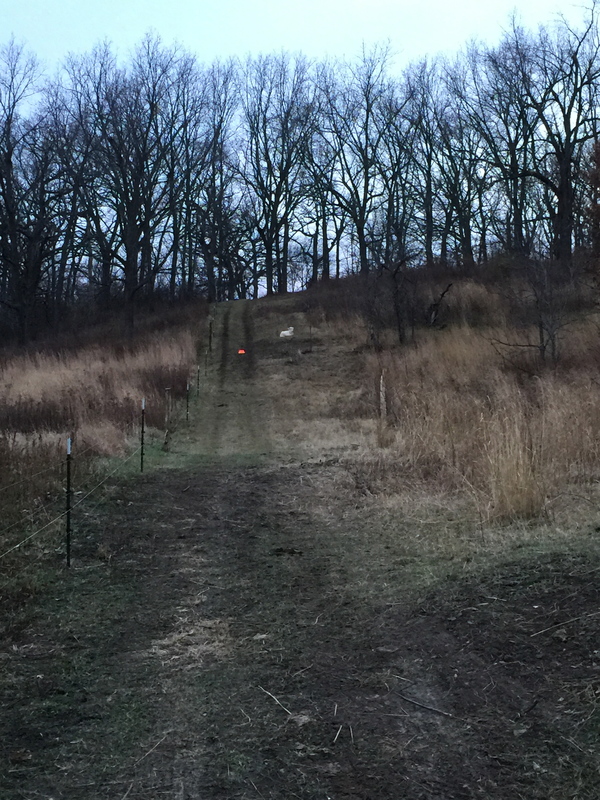 It’s been very exciting that Hubby has gotten the cattle pastures fenced, clear up into the top of the woods, and for the most part all is going smoothly. Eloise some how seems to always be where she isn’t supposed to be though, as you can see in the photo, she is resting and looking at us, and she is about 20 feet into the pasture one up from the rest of the cattle. We accidentally learned that getting her Mama to come get her, was easier than pushing her toward where she needed to move. The best learning is sometimes by mistake! Otherwise getting the cattle in the woods to manage the brush is going very well. It will go even better next year when we have nice spring and summer lush growth for them to do their work on, because at this point right now, they are out there but there isn’t a ton for them to eat, it got cold way, way too early this year. It’s 6 weeks till winter and we are snow covered and in single digits at night. We are hearing words like Polar Vortex, again. 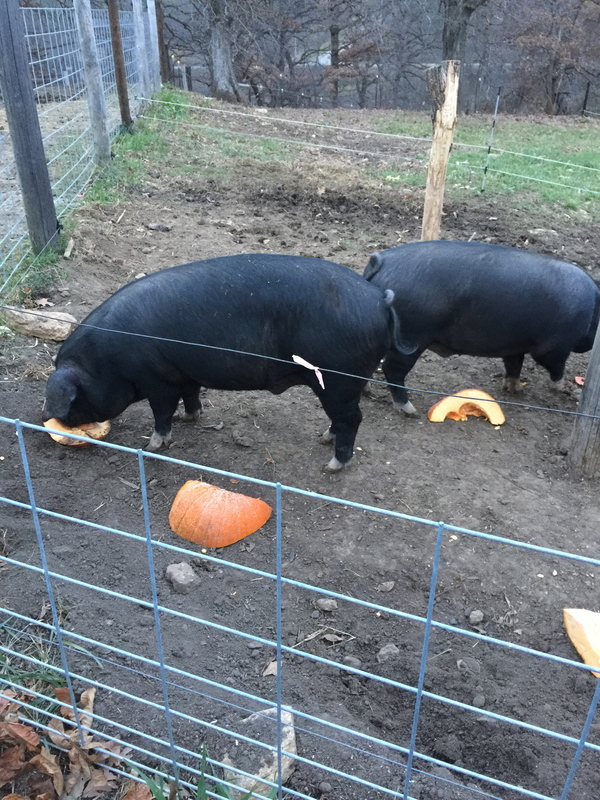 The pigs are loving eating our neighbors (not good enough to sell) pumpkins! They devour the insides first, then the shells. It’s my understanding that pumpkin seeds offer the pigs health benefits, and they are just plain healthy and filling food for them. Pigs to the locker day is on Thursday. Hubby has kindly been dealing with the frozen water replacing more than I have, but it will be good to be done for the season, since winter came so darn soon. The pig keeping area and set up is not designed for Winter, so it’s early arrival, makes the job of caring for them harder, very grateful for Hubby’s increased help with the pigs since it got so cold, he is out there for the cattle anyhow, so I take a bit of advantage of that. 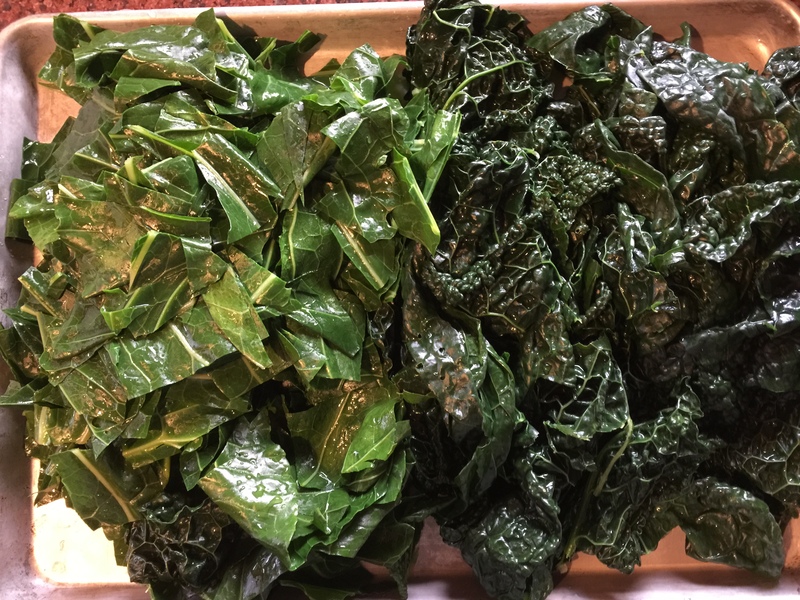 The kale and collards are all brought in, blanched and frozen till we have greens again in the Spring. 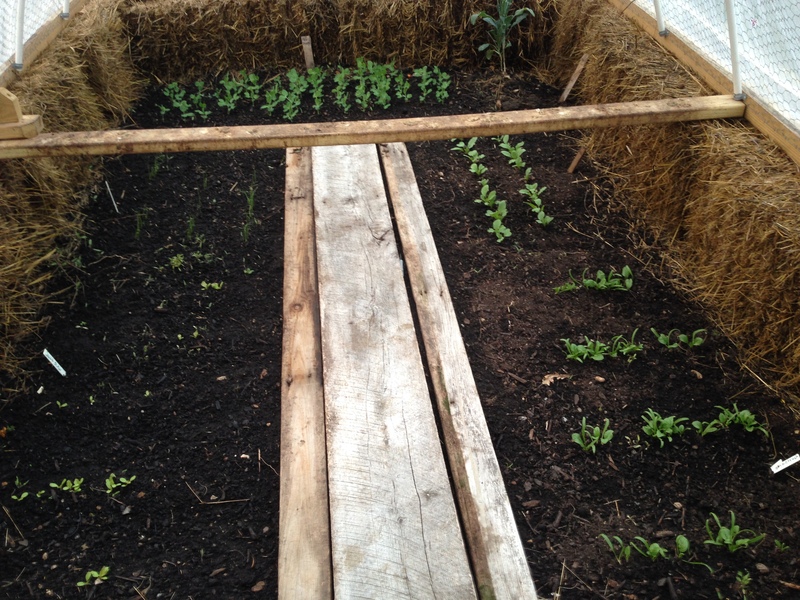 The tiny high tunnel is not doing such an awesome job now that it is single digits at night. I learned a lot. I think this set up will be great next year in the Fall. I will plant it earlier and hope for winter not coming 6 weeks too soon, and I think it will do well. At this point we might put the chickens in there for a day to enjoy the greens that aren’t going to make it. Not enough to harvest but enough for chickens to peck at something green which they should enjoy very much! Found a really unique bread recipe. It involved soaking the flour in water for a couple hours before assembling the bread ingredients. Very unusual but it was the first time I ever made 100% whole wheat bread that was not only, not a brick, but was tasty! Hubby would prefer maybe a 1/3 less wheat. Not surprising, but I really liked it. It made three loafs though, so I sliced and froze some of it. I don’t usually make 3 loaves at a time so I used the pans I had. 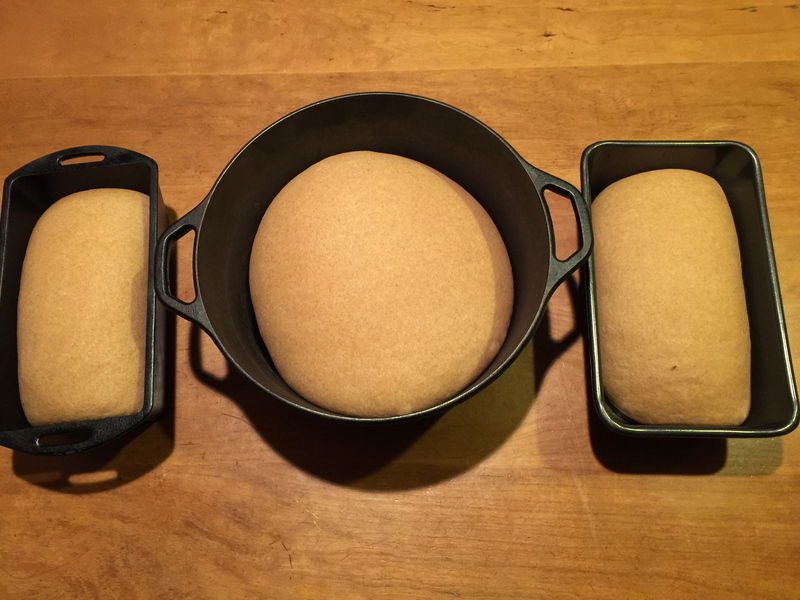 One loaf pan was non stick and the other was cast iron, as well as the big round one was cast iron. The non stick loaf did not rise nearly as much in the baking, and it stuck, how is that for irony?! By the way, it is beautiful dough, these pictures are taken before it was even cooked, just after rising! …And a photo of the tiny tunnel before the real cold set it in, I sure can see how it would have worked super well if it Winter hadn’t come in the Fall! 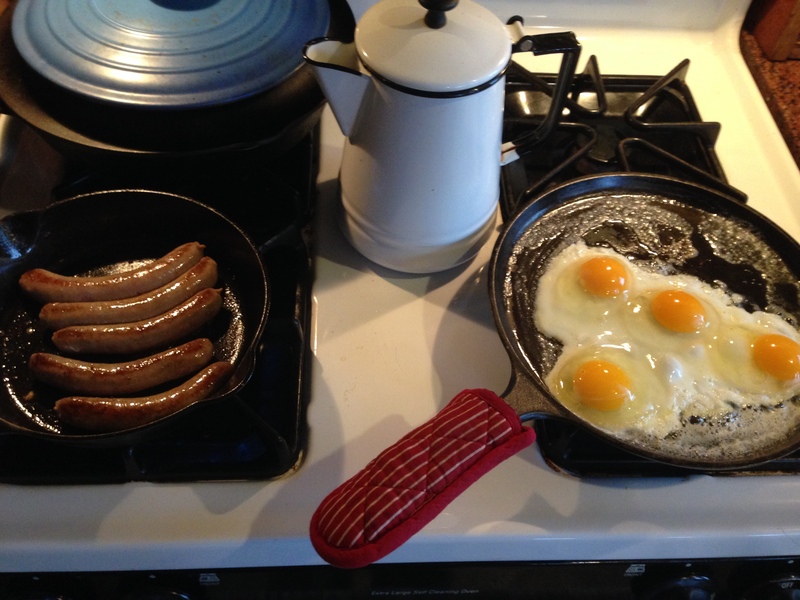 Some cold mornings need hearty breakfasts, and no, not all those sausages were eaten at breakfast! 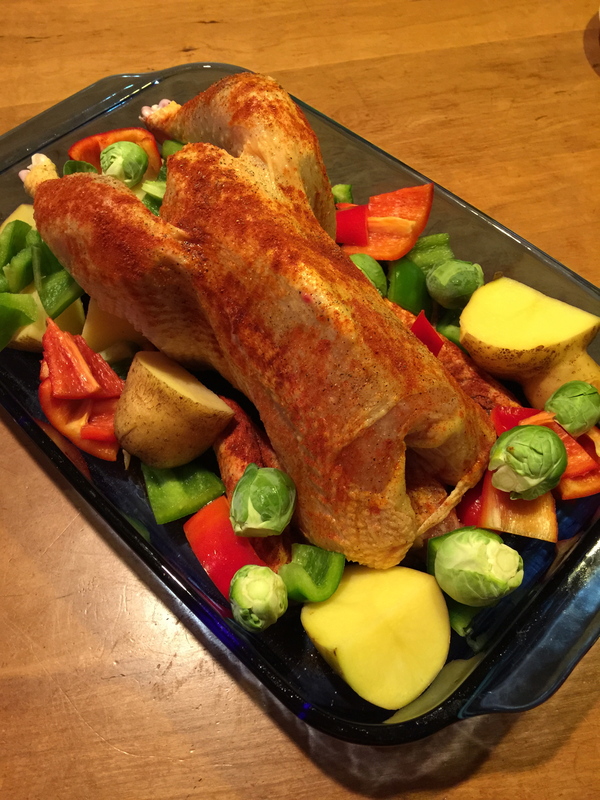 We’ve been enjoying our chickens, and this bird is ready for the oven! We are of course trying to make them last as well, so they always feel like a treat! Soon we will have pork of our own, and I am picking up 2 turkeys from a local farm next week to put into our freezer. One will be for Christmas dinner, and one for a random thanksgiving feast during the cold days of February/March when it would be quite welcome. Hopefully we will harvest one to two cattle in the Spring, and it will be our first beef from the farm. I am sure we will learn a lot before, during and afterwards from the experience, and that will make the next time easier in a lot of ways. …and who knows, maybe this will be the year we get some rabbit on the dinner table!